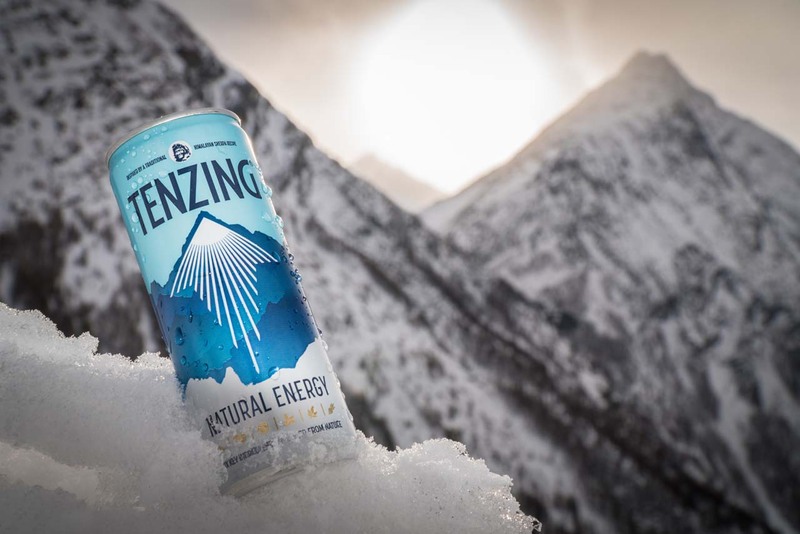 Tenzing, the Himalayan-inspired energy drink created by Red Bull's former European marketing director, Huib van Bockel, has launched its debut above-the-line campaign. Out of home ads for the brand – named after Tenzing Norgay, one of the first two people to reach the summit of Mount Everest – have been running on London Underground sites since last week. They are joined by a video ad on YouTube from this week, with other social platforms following later in the month, and a Time Out partnership. The campaign was created by Otherway. The drink, which launched in 2015, is made with green tea, green coffee, guarana, lemon juice and Himalayan salt, along with 4.9g sugar per 100ml of drink – just under the limit for the sugar tax. "I thought it should be possible to create something that would give you a bit of an uplift that wasn’t unhelpful," he said – in contrast to most energy drinks on the market, which contain synthetic caffeine and either much more sugar, or artificial sweeteners. According to van Bockel, Tenzing is inspired by a strong tea containing salt consumed by Norgay’s people, the Sherpas of Nepal. "I was actually travelling in Asia and became familiar with the Sherpa culture. I was always a big Tenzing Norgay fan, so it was one of the most beautiful moments where it all came together for me." Norgay’s family are now involved in the business, while Nepal remarkably became the second country where the brand was launched, following the UK. The main challenge for the brand, van Bockel said, was that "energy drinks are basically married to an unhealthy perception". But this also presents an opportunity – according to Mintel data, he said, 71% of energy drink consumers are looking for something with no artificial ingredients, while 58% are concerned about high sugar levels. The way that the major energy drinks have branded themselves means they will never be able to overcome these shortcomings, even if they wanted to, van Bockel argued. He pointed to Monster in particular, which describes its production like this: "We went down to the lab and cooked up a double shot of our killer energy brew." 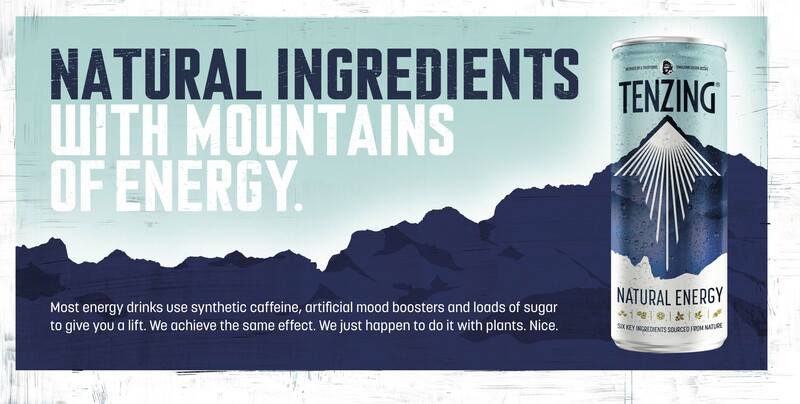 Conventionally, most soft drinks either contain around 11g of sugar per 100ml, or contain enough sweetener to achieve the equivalent level of sweetness – which means Tenzing is notably less sweet than most other drinks on the market. Soft drinks like Coke, he said, are "stuck with their recipes" because they did not adapt soon enough. "Coke knew for years that people were moving away from high sugar drinks, aspartame and so on," he said. In contrast, "what crisp manufacturers did was they saw salt was getting a bad reputation, and they gradually reduced salt – and our palettes changed." He is trying to achieve something similar with Tenzing: "We took out the sugar and didn’t replace it with anything – it was just a lot less sweet and syrupy. That’s where we should go."